No matter if it’s to the backyard or the pool, an Innovations Premium Sliding Patio Door allows you to connect to your surroundings. Available in standard and custom sizes, the Innovations Sliding Patio Door features many unique options to deliver the ultimate in operation and performance. – Everyone knows the frustration of not having a contractor show up on time. So you can count on us being there when we say we will. 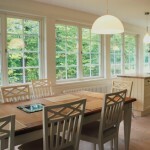 Our Madison WI based Virtus windows…tomorrow’s technology today! $100 for a customer referral!